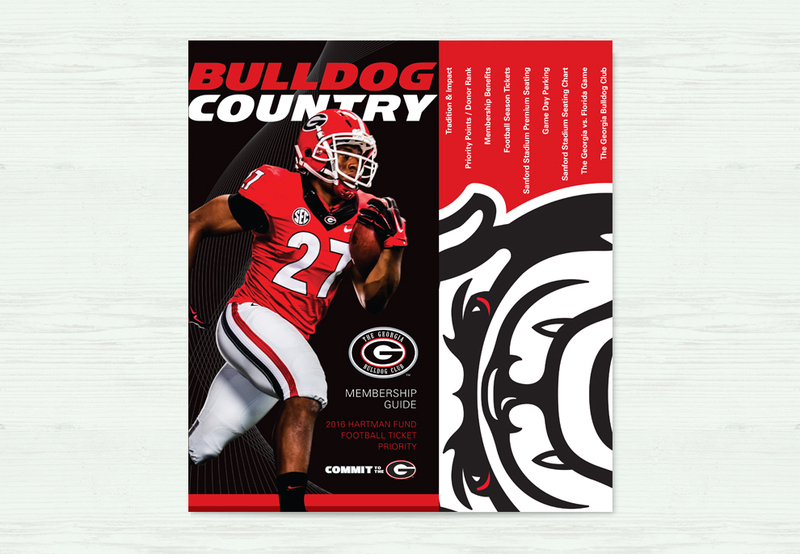 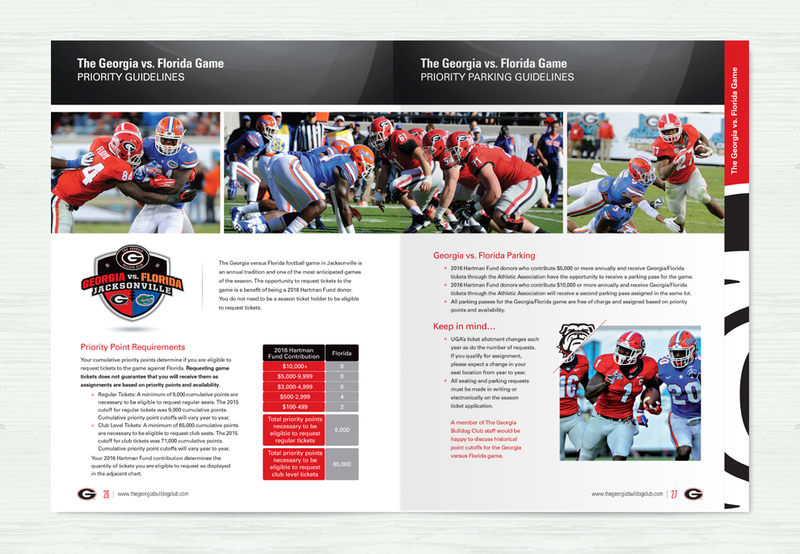 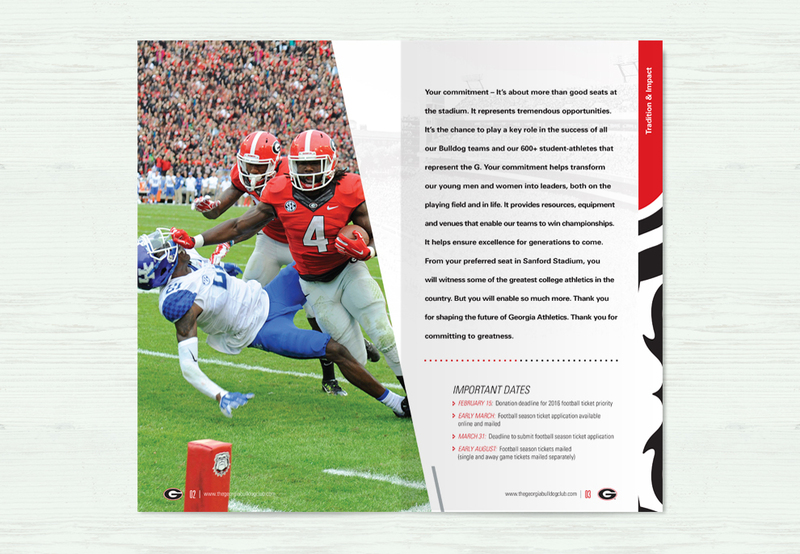 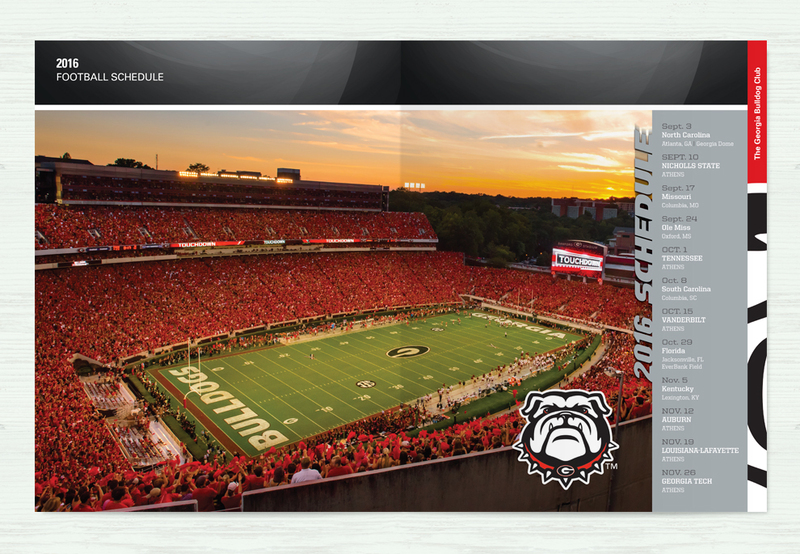 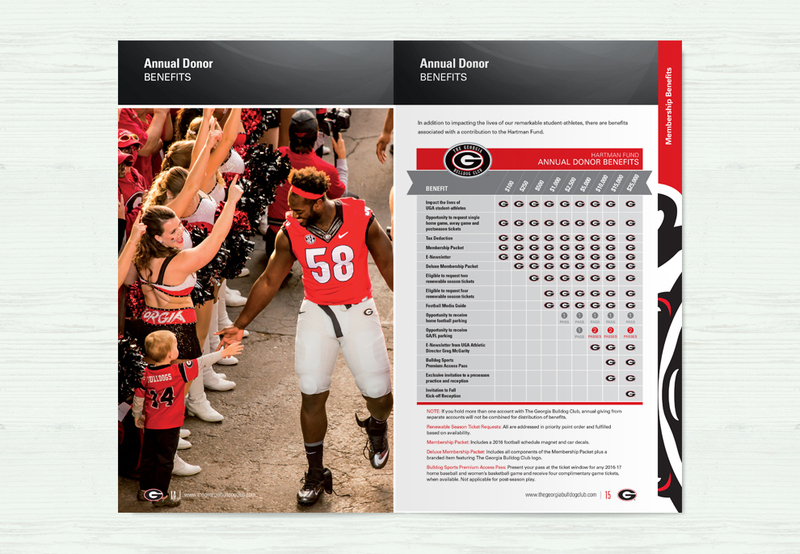 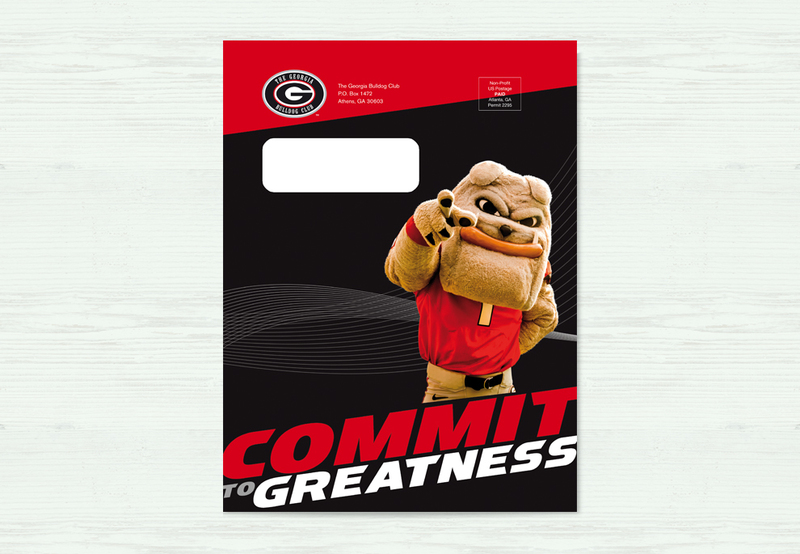 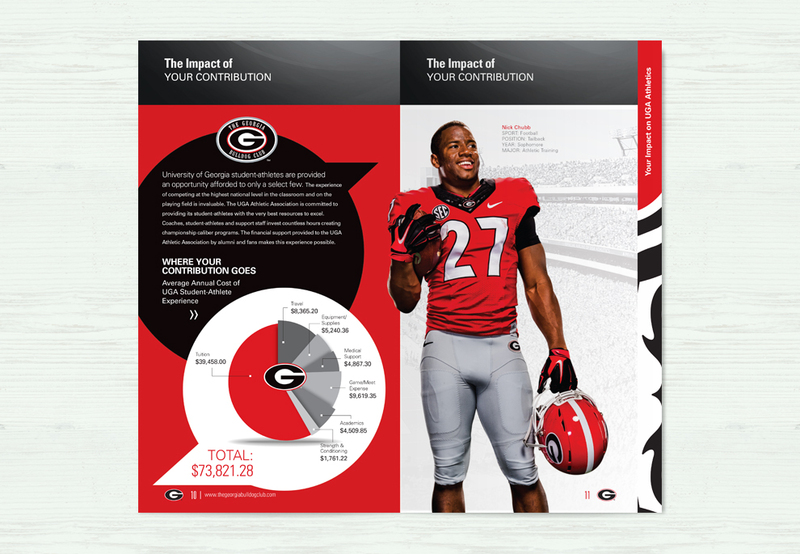 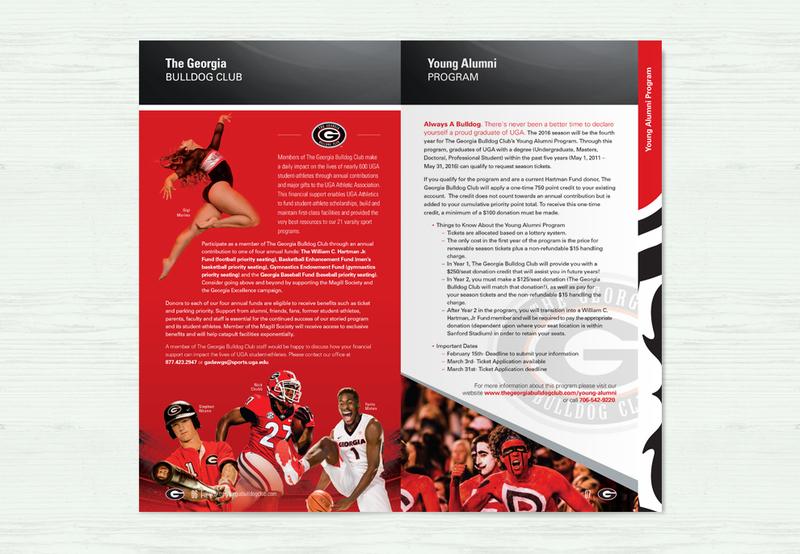 This brochure / direct mailer is the key element of the Hartman Fund Campaign for the UGA Athletic Association. 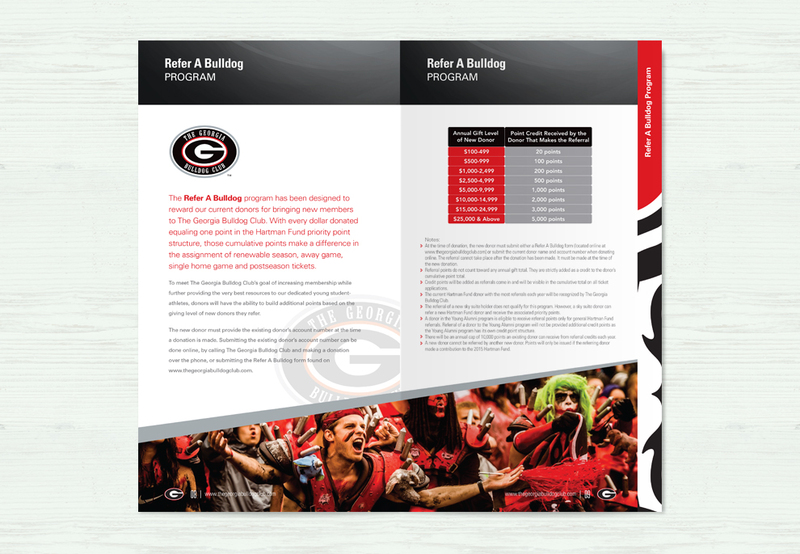 Bringing in over $26 million each of the past two years, this campaign is a driving force in keeping the wheels turning at one of the top five collegiate athletic programs in the country. 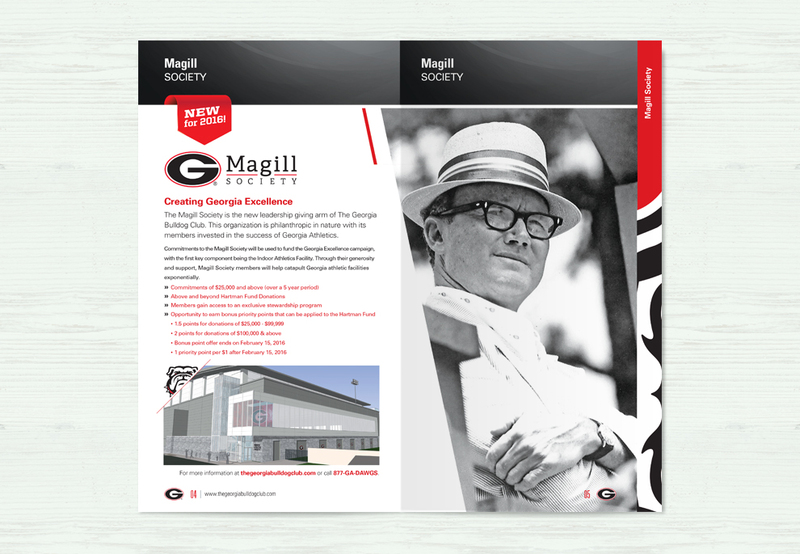 We also concept, design and produce all other moving parts for this campaign, including e-blasts, digital ads, billboards, signage and print ads. 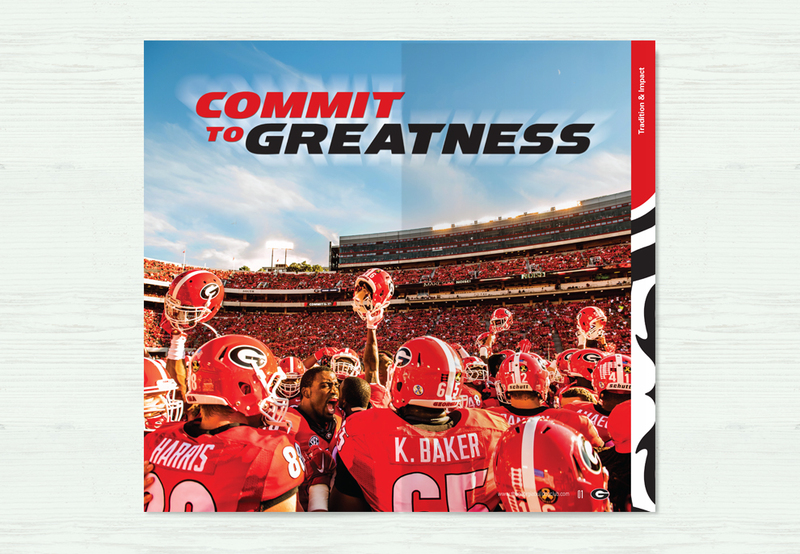 Commit to the G!